Why "Sgt. Pepper's Lonely Hearts Club Band" still matters 45 years later. The Beatles released "Sgt. Pepper's Lonely Hearts Club Band" on June 1, 1967. To paraphrase – and update – the opening line of perhaps the most influential album in rock history, it was 45 years ago Friday Sgt. Pepper taught the band to play. It sounds like ancient history. But 45 years after the release of the Beatles' game-changing "Sgt. Pepper's Lonely Heart's Club Band," the album – and the act we've known for all these years – still matter, albeit in different ways to different folks. For many Baby Boomers, the anniversary is sure to raise vibrant memories, fond and otherwise, of the Summer of Love – a major point in the cultural upheaval that pit a youth-fueled demand for change against old-school values amid a backdrop of war, drugs and music. For fans too young to recall the album’s debut, "Pepper" transcends any one given moment in time. Either way, the Beatle masterpiece's impact stretches far beyond its birth in Abbey Road Studio 2. The first major concept album paved the way for works from The Who's "Tommy" to Green Day's "American Idiot" to Jay-Z's "American Gangster." The conceit of an established act playing under the guise of characters can be seen in Slim Shady, the alter ego of Eminem, the only artist to outsell the Beatles in the first decade of this century. 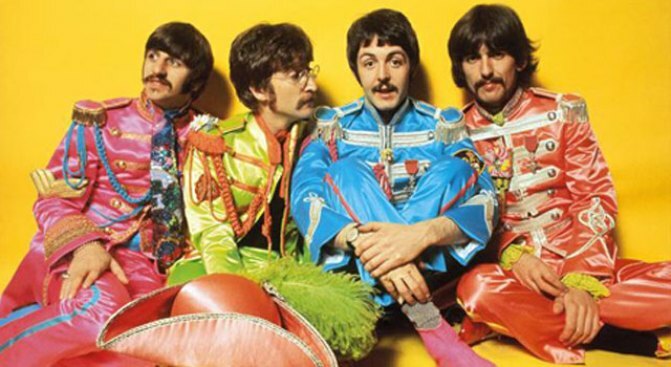 The fashion daring embodied in the Beatles' image-changing "Pepper" outfits directly inspired Michael Jackson's faux military look and presaged the audaciousness of Gaga's meat dress. The 78-rpm evolution of a band that went from "I Want to Hold Your Hand" to "Within Without You" in barely three years no doubt encouraged the morphing of Madonna, the modern queen of reinvention. But the key to the album’s endurance is a wild mix of music that, unlike the fictional Sgt. Pepper’s band, has never gone out of style. The ethereally trippy "Lucy in the Sky With Diamonds" and the circus-organ mélange "Being for the Benefit of Mr. Kite," ushered in the psychedelic era. "Good Morning Good Morning" is a rocker powered by raw frustration. "She's Leaving Home" offered a lush, bittersweet musical poem about growing up. Growing old got the bouncy, English music hall treatment in "When I'm 64" – which is likely about the current median age of the first wave of fans to buy "Pepper" on June 1, 1967. The sales are driven by far more than nostalgia: a 2009 Pew Research Center survey found the Beatles are among the top four favorite musical acts of Americans 16 to 64. Credit music that sounds as fresh the first time as the thousandth. Sgt. Pepper may have taught the band to play, but the Beatles – with a little help from their friends, producer George Martin and recording engineer Geoff Emerick – taught the rest of us to listen in a new way. Like the massive E-chord at end of "A Day in the Life," the album’s epic finale, "Sgt. Pepper's Lonely Hearts Club Band" still resounds.